When we think of a Stallion words like strength, grace, aggression, unbridled and beauty come to mind. 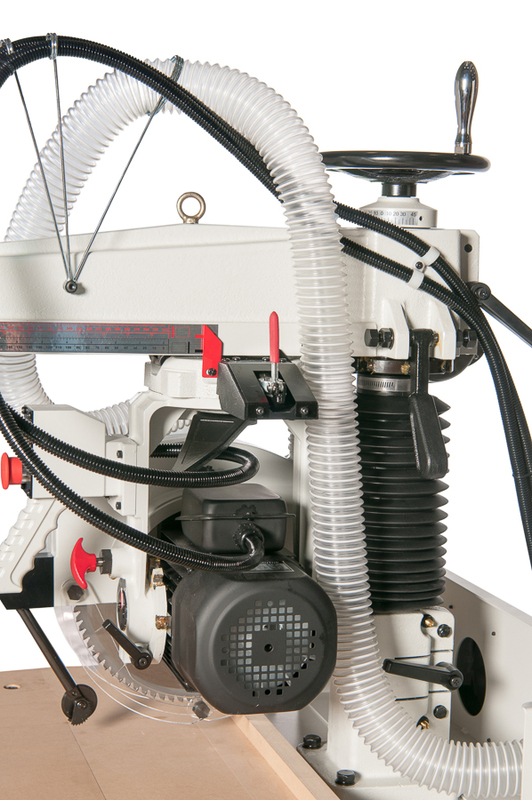 CWI Woodworking Technologies has developed Stallion Sawing Equipment with these attributes as part of its DNA. 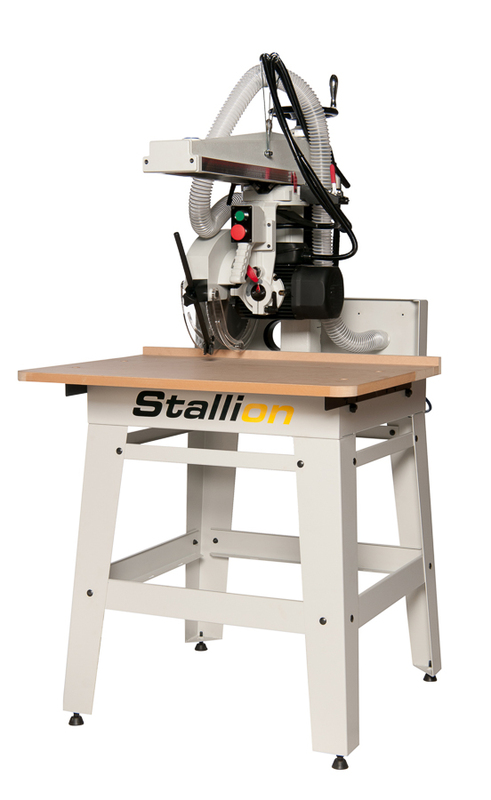 A Stallion radial arm saw is loaded with industry leading features, performance and safety built into its frame. 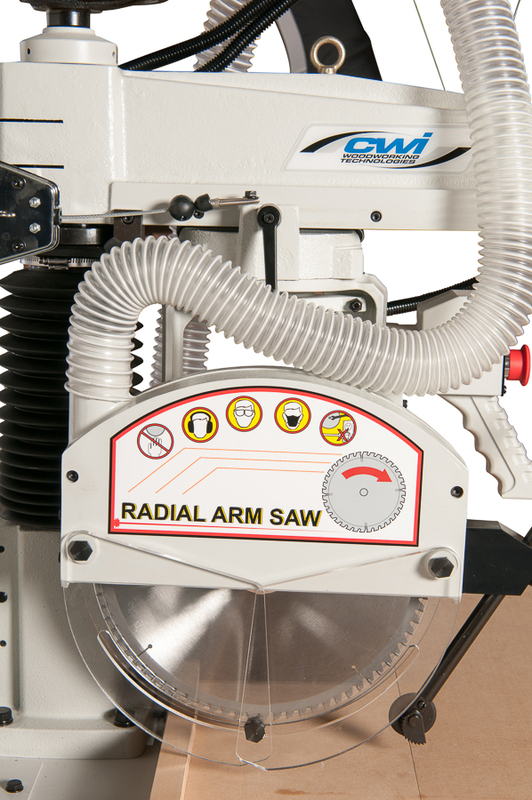 The Stallion CWI-RA012 12” radial arm saw is built with more power, strength, performance and capacity than any other saw in its class. A true workhorse of a machine designed for accuracy and ability to accomplish any demanding task asked of it. 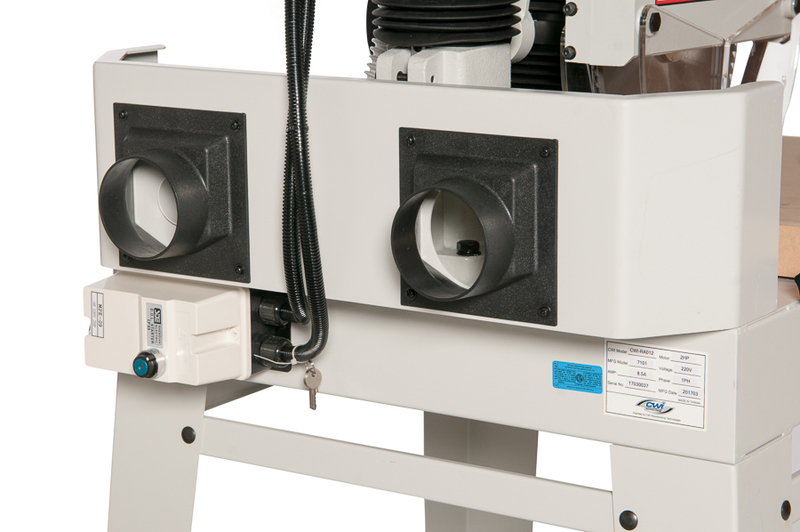 The RA012 offers a full 26” of rip capacity and 16” of crosscut capacity in 1” thick wood. Standard is to use a 12” saw blade but a 10” blade can also be used if more plentiful in your workshop. Unique is an arbor mounted laser to make alignment of your cut path a simple task. A heavy duty cast iron frame, heavy steel column with bolt together heavy steel stand and 2 HP motor provide a great framework for years of hard use. 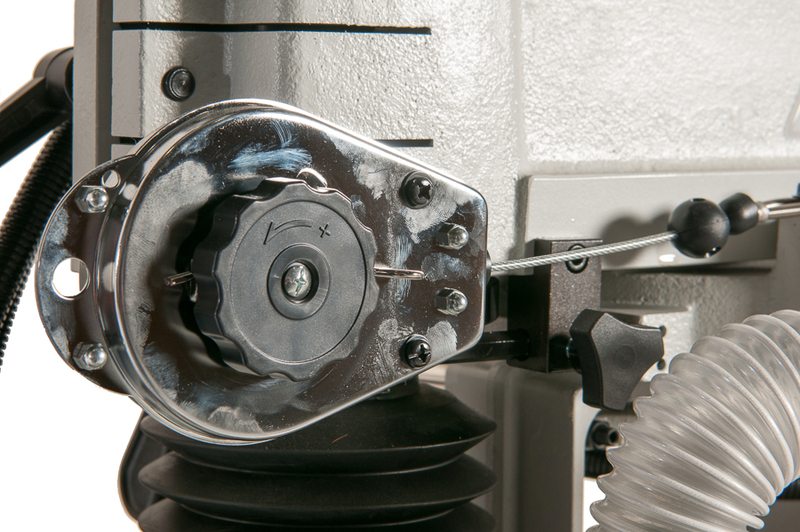 The saw head is adjustable for angle cuts with indexing positive stops at 90, 45 and 22.5 degrees. This machine is industrial rated for quality and a versatile design to allow ease of use in standard cuts as well as bevels, miter cuts and ripping operations. 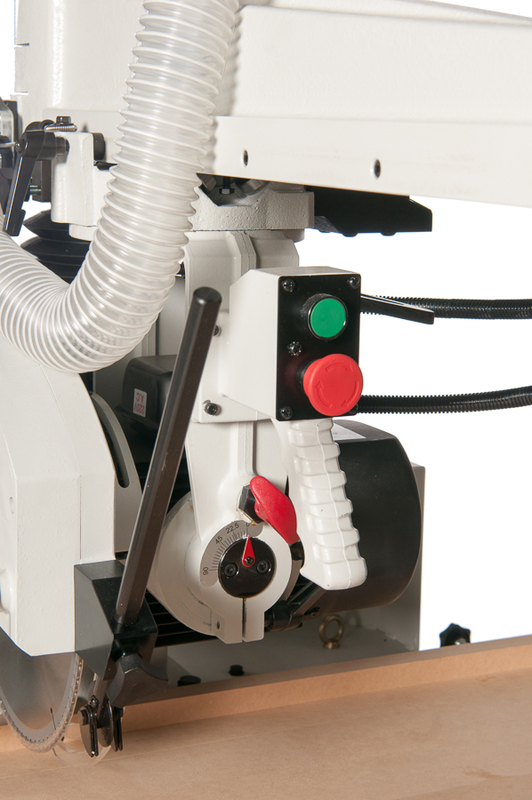 Excellent dust collection is achieved with 2 above the table 4” dust collection ports with a 2” hose connected directly to the blade guard. Safety features include magnetic safety switch with lock out key, overload and under voltage protection as well as a see through blade guard with anti-kick back attachment and a blade splitter. There is also a mechanical automatic brake that stops the blade from turning within seconds after shutdown. A mechanical return spring is also attached to the saw head and carriage to assist with smooth safe sawing operations. 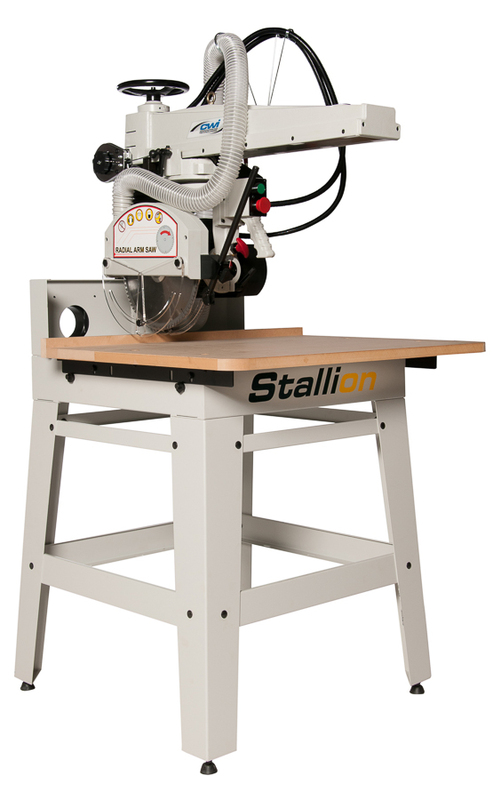 The Stallion Radial Arm Saws are available in both 10/12” and 16” blade capacities and are truly in a class of their own, built with the attitude, grace, strength, performance and beauty you would expect….from a Stallion!